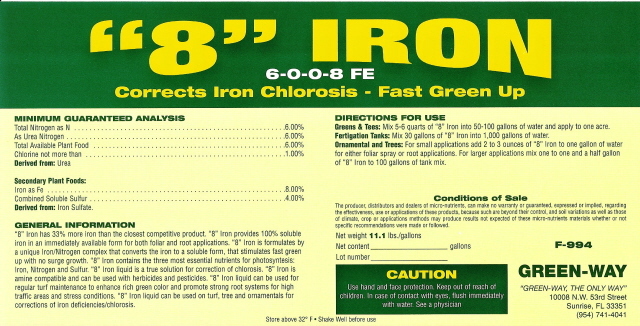 Formulated by a unique Iron/Nitrogen complex that converts the iron to a soluble form that stimulates fast green up with no surge growth. Contains the three most essential nutrients for photosynthesis: Iron, Nitrogen and Sulfur. A true solution for correction of chlorosis. Amine compatible and can be used with herbicides and pesticides.